Used in Servis M3111B washing machines. 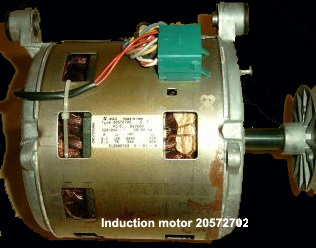 This module controls the induction motor rotation speed and direction by changing the stator winding configuration using relay contacts. Power is fed to the windings from a control TRIAC via a single pole change over relay which is used to reverse the motor rotation. Increasing power to reach the selected rotation speed is controlled by the triac switching. The original fault was a stalled motor which sometimes failed to drive the load. 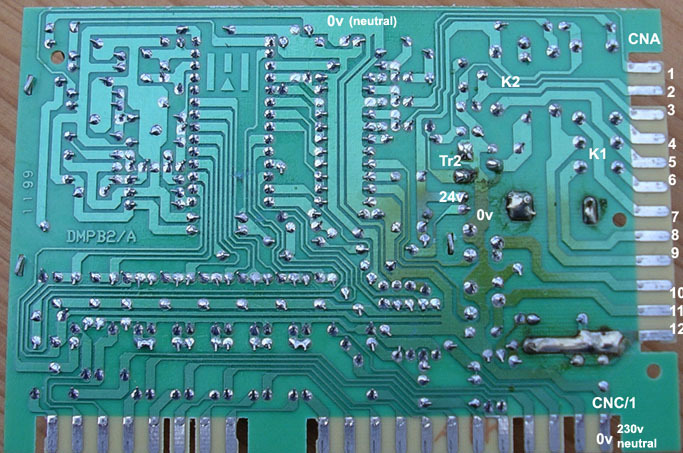 Investigation of the PCB did not reveal any obvious component failure. The problem was resolved by changing the 20uF motor field run capacator which while its value tested ok, its current carrying ability had deteriorated. 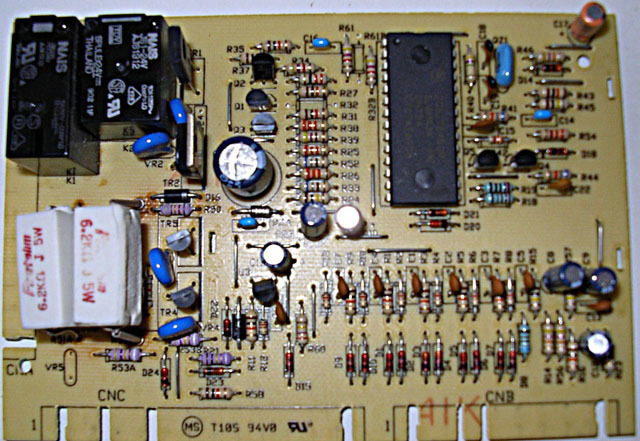 The circuit shown here is a partial tracing taken from the module pcb and while efforts to maintain accuracy have been made, errors may be found in the drawing. The module is live and cannot be considered as safe to work on while power is applied. 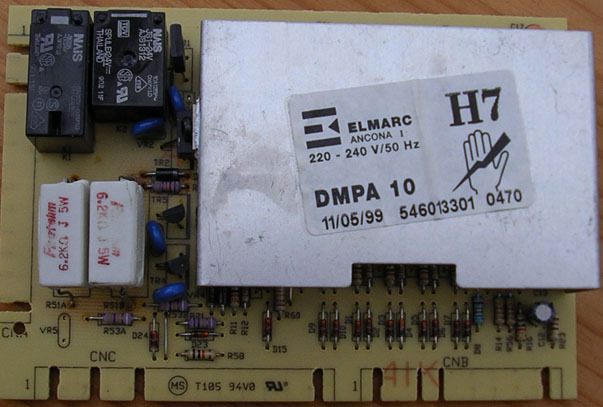 Only skilled electronic technicians will have the neccessary knowledge to diagnose control module problems. Use the information at your own risk.